Sometimes I hear about an interesting book and it sits in my Amazon save-for-later list until I need to hit $25 for free shipping, and then I buy it. 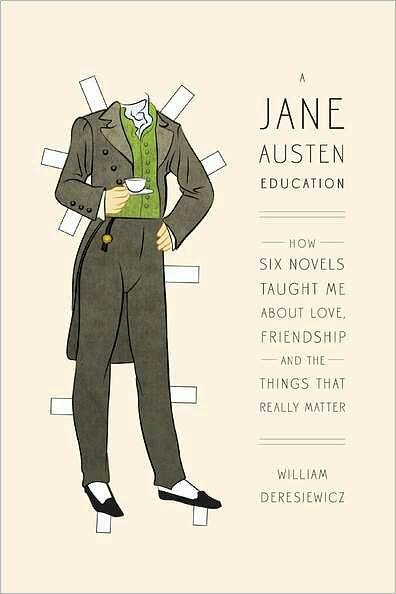 That’s the case with William Deresiewicz’s A Jane Austen Education: How Six Novels Taught Me About Love, Friendship, and the Things That Really Matter (<—Amazon link), a book that I’m thoroughly enjoying. Deresiewicz gets Jane Austen in a way that appeals to my Austenite heart. He divides the book into chapters devoted to individual novels and what he learned from them. So far I’ve read Emma: Everyday Matters (wonderfully insightful! ); Pride and Prejudice: Growing Up; and I’m in the middle of Northanger Abbey: Learning to Learn.
. . . these things mattered, because they mattered to the characters themselves. They made up the texture of their lives, and gave their existence its savor. I got it now. By eliminating all the big, noisy events that usually absorb our interest when we read novels—the adventures and affairs, the romances and the crises, even, at times, the plot—Austen was asking us to pay attention to the things we usually miss or don’t accord enough esteem, in novels or in life. 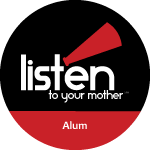 Those small, “trivial,” everyday things, the things that happen hour by hour to the people in our lives: what your nephew said, what your friend heard, what your neighbor did. That, she was telling us, is what the fabric of our years really consists of. That is what life is really about. Like all the great teachers, I now saw, she made us come to her. She had momentous truths to tell, but she concealed them in humble packages. Her “littleness” was really an optical illusion, a test. Jesus spoke in parables so his disciples would have to make an effort to understand him. The truth, he knew, cannot by grasped in any other way. Her own way was to make art out of the very things that absorbed her attention in her own life. Her genius began with the recognition that lives such as hers were very eventful indeed—that every life is eventful, if only you know how to look at it. She did not think that her existence was quiet or trivial or boring; she thought it was delightful and enthralling, and she wanted us to see that our own are, too. She understood that what fills our days should fill our hearts, and what fills our hearts should fill our novels. By talking over their little daily affairs—and not just talking them over, but talking them over and over, again and again (the same story in brief, then in full, the same stories in one house, then another)—the characters in Emma were doing nothing less than attaching themselves to life. They were weaving the web of community, one strand of conversation at a time. They were creating the world, in the process of talking about it. Austen taught me a new kind of moral seriousness—taught me what moral seriousness really means. It means taking responsibility for the little world, not the big one. It means taking responsibility for yourself. Austen’s heroines, I discovered that summer, had their mistakes pointed out to them over and over again, only it never did them any good. They didn’t grow up until something terrible finally happened. When maturity came to them, it came through suffering: through loss, through pain, above all, through humiliation. They did something really awful—not just stupid, but unjust and hurtful—and they did it right out in the open, in front of the very person whose opinion they cared about more than anyone else’s. They had achieved the relative autonomy of adolescence—learning to trust yourself—but now they had to take the next step, into the full autonomy of adulthood. They needed to learn to doubt themselves. In the classic comic plot, a pair of young lovers are kept apart by some external obstacle, some “blocking figure” that represents the external antagonism of age and youth: a possessive father, a jealous old husband, the laws and customs of an antiquated, repressive society. Austen changed everything by putting that obstacle on the inside. Now we ourselves are the blocking figures who are causing us so much trouble. We are the ones standing in the way of our own happiness. Once Elizabeth was ready to be happy, it didn’t matter what any of the grown-ups thought. For Austen, reason is liberation, and growing up is the truest freedom of all. Feelings are also the primary way we know about novels—which, after all, are training grounds for responding to the world, imaginative sanctuaries in which to hone and test our ethical judgments and choices. Our feelings are what novelists work with, the colors on their palette. Just think how long this post would be if I’d already finished the book! Are you a Jane Austen fan? Nester hosts a link up of 31 Days posts each October. Hundreds of bloggers write on a topic of their choice for an entire month. Find them here. All 31 Days of Killer Quotes posts can be found in this post.